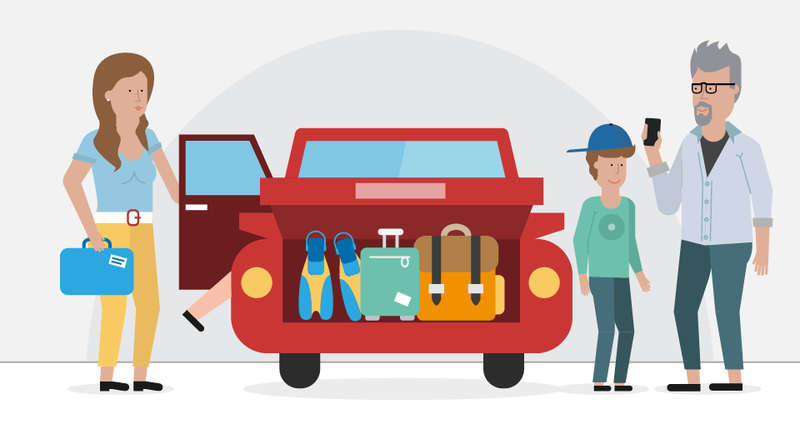 It's that time of the year again: time to pack your family or friends in the car and hit the open road. Drive with your trusty navigation app and even the longest holiday drive will be a breeze. Long-distance driving comes with a set of opportunities, but also challenges. It's a brilliant way to explore the country, you can make interesting stops along the route to make the drive part of the adventure. Driving offers great flexibility, but it is very is tiring. Especially at night. And for most of us, night driving is often an unavoidable evil. With only a couple of vacation days available, we cannot afford to lose half that time just traveling to and from the destination. 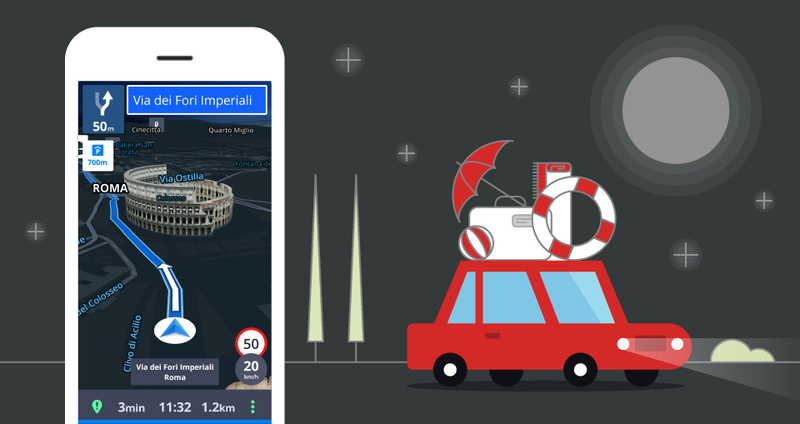 Fortunately, Sygic makes even long-distance at night driving much safer. Taking your eyes off the road to check the navigation is not safe, especially at night when your eyes get tired faster. 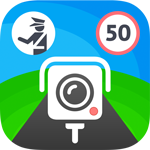 Fortunately, with Sygic GPS Navigation you don’t have to look down at the phone while driving. Turn-by-turn voice guidance makes it easier to focus on the road. 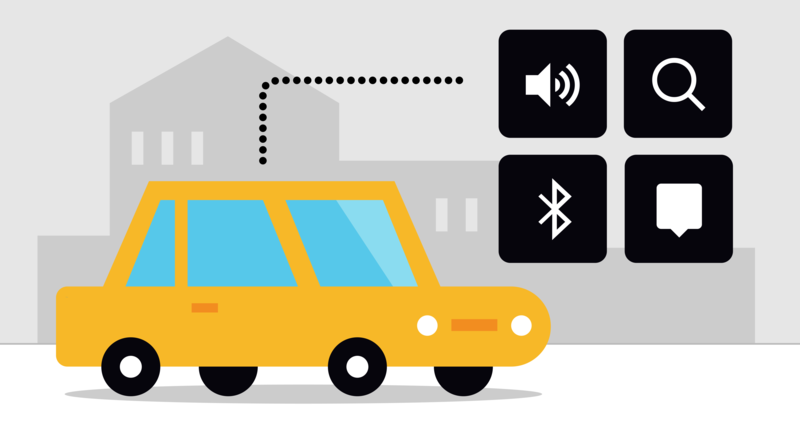 Just plan your route, make sure the sounds are on and listen to the precise driving instructions. Following the accurate spoken directions will help you keep your attention on the road ahead. Sygic comes with beautiful 3D maps in day and night mode. The color scheme changes automatically when it gets dark, so it’s more comfortable to look at the navigation screen in the darkness. The night mode is specially optimized for a dark environment, so your eyes don’t need to adjust to a bright screen. You see directions in your line of sight, so you don’t have to look away from the road ahead. 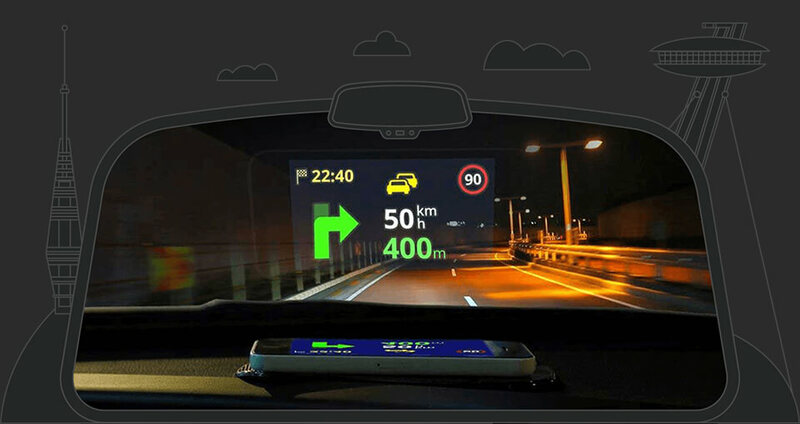 Another great thing about Head-up Display is that you don´t need to spend money on any expensive device or have a luxury car, you just need your smartphone. Click here to find out how to use Head-up Display. Always get enough rest for the best driving performance. Tail a vehicle with some safe distance to get a good idea of what’s ahead. Following another car will make driving at night a lot safer and easier. Take regular breaks. Stop every two hours or 200 km to get some rest and fresh air, grab a bite and stretch your legs. Even a short break makes a big difference. Take turns behind the wheel. Drive with windows slightly rolled down. Fresh air will help you stay alert and more attentive. Don’t push yourself. If you struggle to keep your eyes open or your legs hurt, swap drivers or pull over to take a nap.